Premium South African wines sit comfortably at the higher end of wine lists delivering outstanding quality and perfect food wines, whether reds for meat dishes or whites for seafood. The Pinotage grape, indigenous to South Africa, is producing wines that are clean, fresh, vibrant and characterful. Bush vine Chenins have richness and texture yet are light in body to be plentiful and fun. If asked to name wine producing regions, it’s unlikely that many people would say The Lebanon. With the terrible troubles in Syria, you would be forgiven for thinking that the country’s wineries had disappeared into the desert. In fact, they are thriving despite the wine growers risking life and limb to grow and harvest the grapes. Did you know that English vineyards are now producing an average of four million bottles per year? 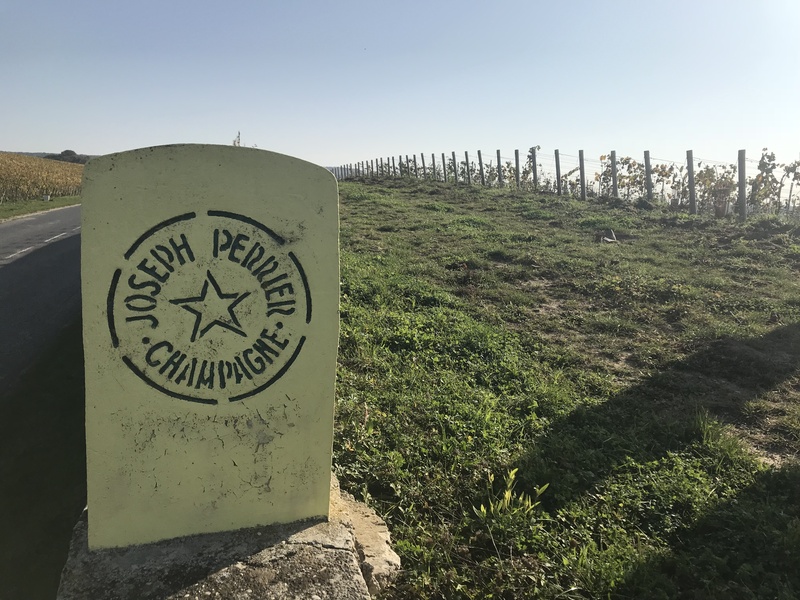 Even the French recognise the quality of our soils with Champagne giant Taittinger recently purchasing 40 hectares in England to be planted with Chardonnay, Pinot Noir and Pinot Meunier. Red, white… and green wines! While we are all familiar with red, white or rosé wines, did you know there were ‘green wines’ too? 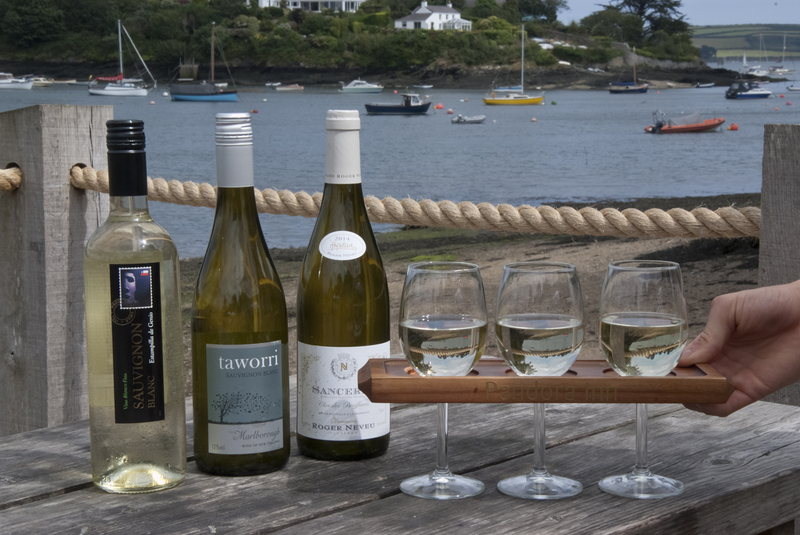 Our wine list contains a selection of wines that have been produced organically or using practices that protect the environment or that are suitable for vegetarians or vegans. It all started a few years ago with our Pandora Inn mugs with their fun slogan ‘I’d rather be at the Pandora inn!’. They proved hugely successful and people started asking for postcards and T-shirts and… it has just gone on from there! 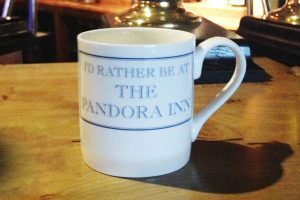 Now you can Shop @ Pandora Inn for all sorts of gifts! Cornwall is renowned for its cider so it is always a very popular drink in this part of the world. 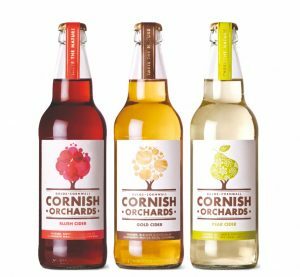 We stock, and sell, a big range here at the Pandora and among our selection are three ciders from Cornish Orchard – Gold, Blush and Pear. As part of our quest to keep it local, as well as selling Cornish grown tea from Tregothnan, we also sell Cornish coffee! While the climate in England isn’t suitable for growing coffee beans (unsurprisingly!) 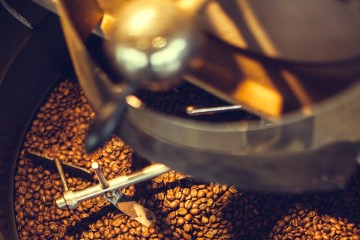 we do get our coffee from a local supplier, Cornish Coffee, who now hand roast their coffee beans in Cornwall! Wine flights of what you fancy! Finding just the right wine to suit your palate or to accompany your meal is a very personal thing. 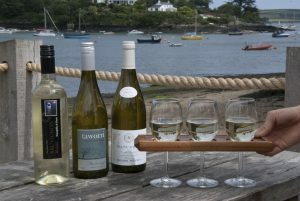 So how would you like to sample different wines before you take the plunge with a whole bottle? Our new ‘Wine Flights’ for white, red and rosé give you the chance to do just that and find out which one takes your fancy! We are now stocking local tea – yes, that’s tea actually grown in Cornwall! 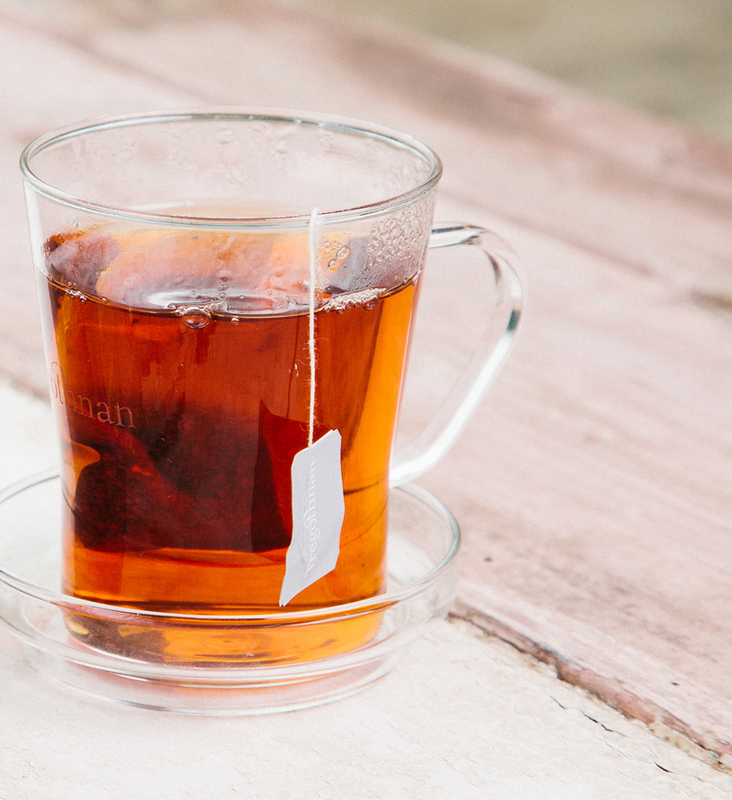 Tregothnan put the ‘English’ into English tea for the first time in history when they planted the first ever tea in the UK in 1999.